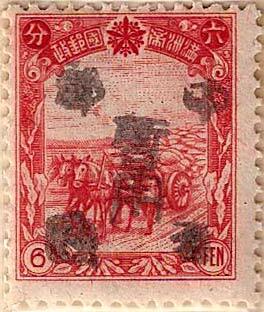 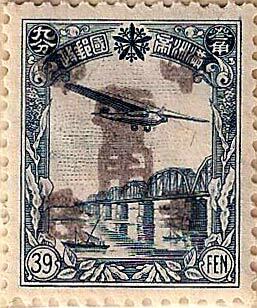 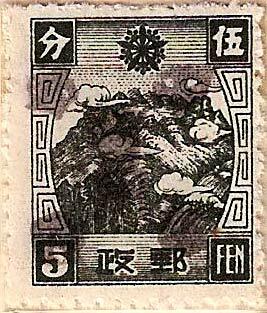 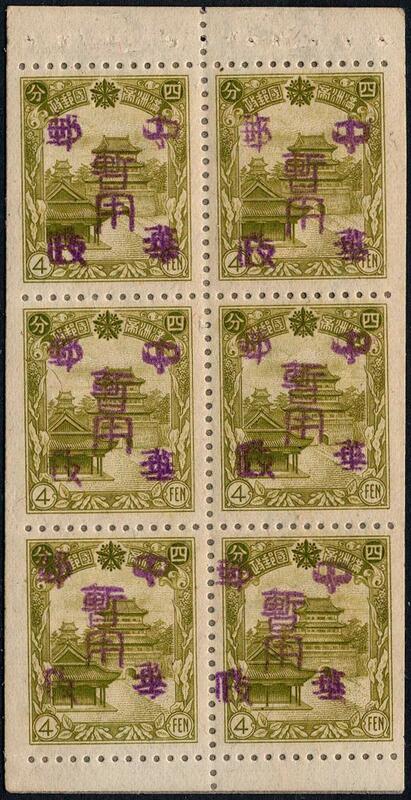 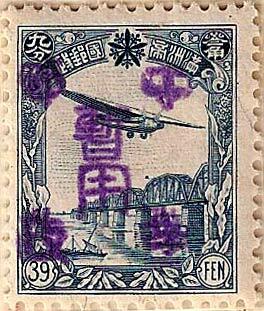 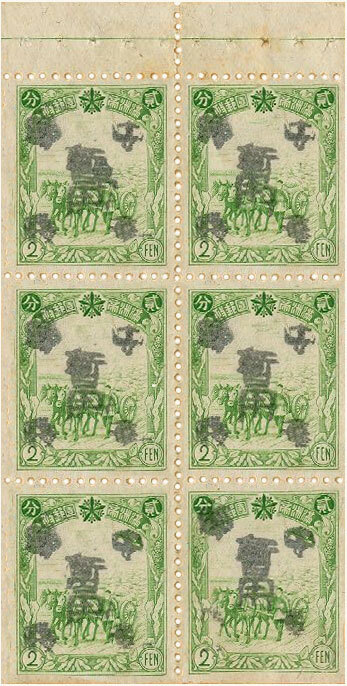 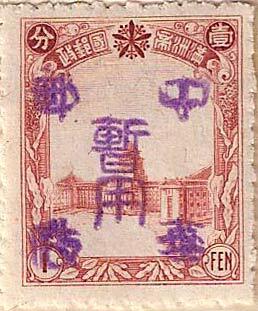 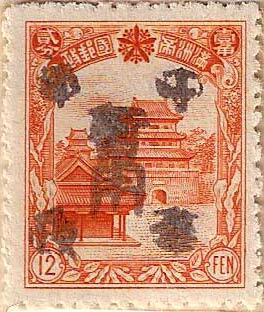 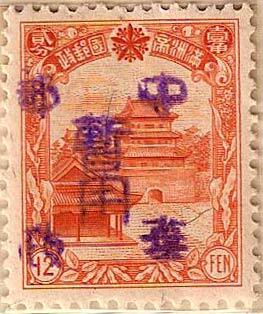 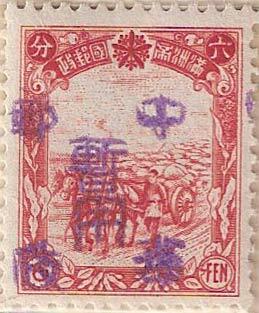 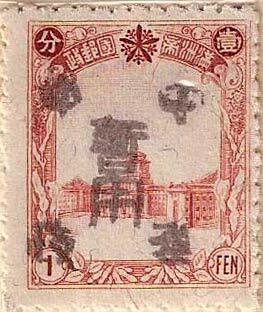 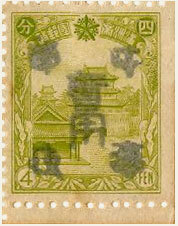 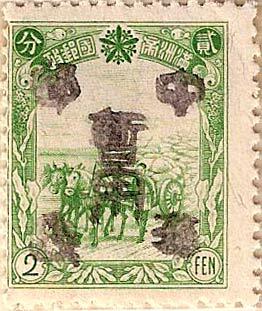 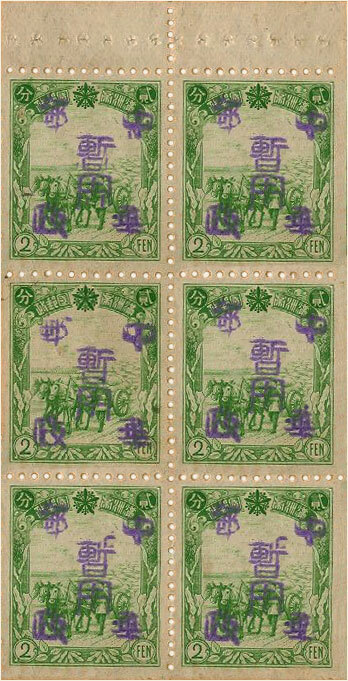 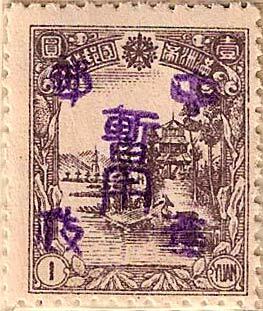 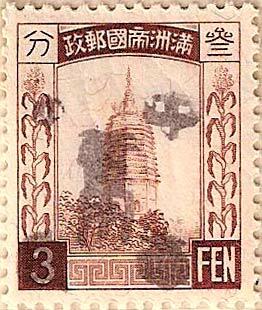 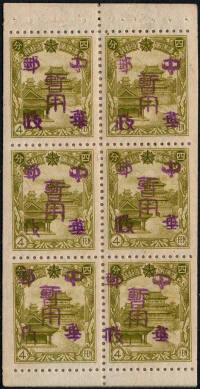 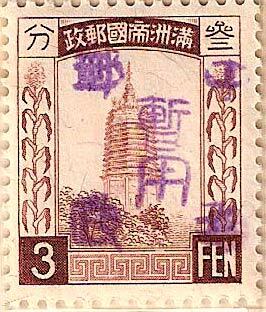 This is the only overprint for Peh An Chen. 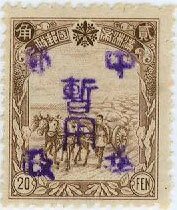 The outer four characters read 中國郵政 Chinese Post in the centre 暫用Temporary Use. 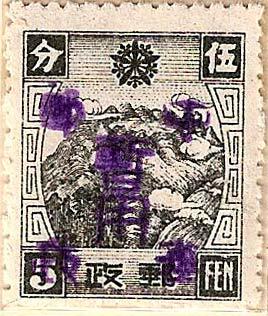 It appears in soft purple or black. 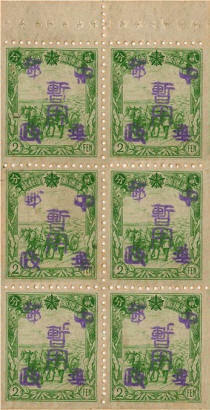 The purple set has 12 values. 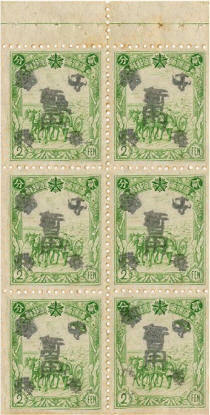 The black set has 10 values. 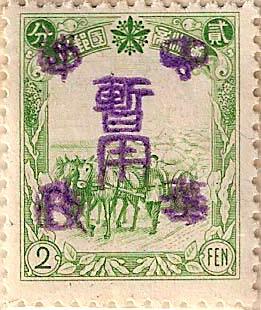 The 2f and 4f booklet panes exist with this overprint - see below, these are treated as separate issues by Kerr for some reason - see below. 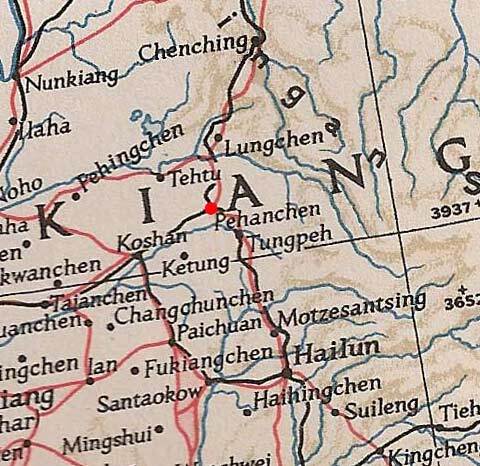 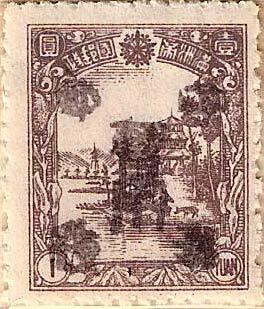 All of the overprints known for this village are shown above.